After some much-needed rain yesterday, our island weather is back to near-perfect. 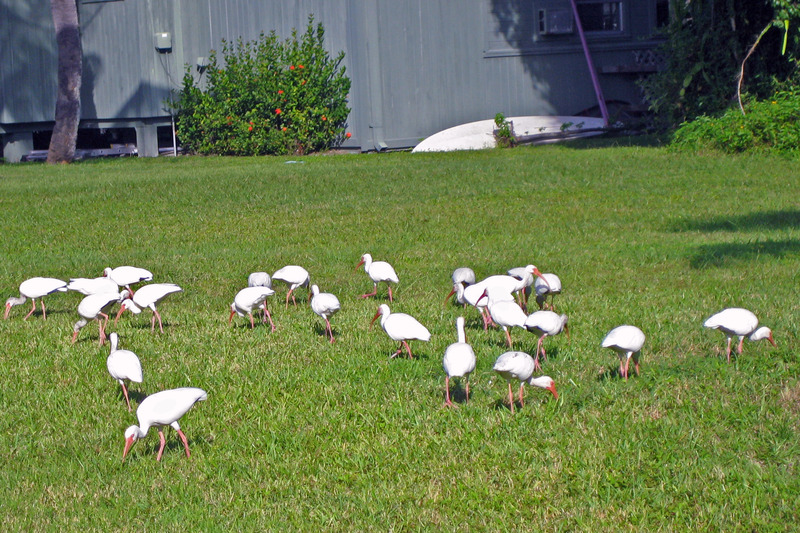 We had an ibis parade in the parking lot and area behind our office this afternoon. Must be good pickin’s. With picture-perfect conditions expected to continue, vacationers next week are bound to be happy. Our pals working in accommodations report the island will be busy. Heavy check-in activity is expected tomorrow and again next Saturday, following a few weeks of more modest visitor traffic until Easter. Reservationists have noticed fewer last-minute booking calls this week, probably due to gas prices being so much in the news. April still has plenty of vacancies. Good sales activity was reported at our island Realtor® meeting yesterday. Sanibel had 11 sales in the past week, Captiva had none. 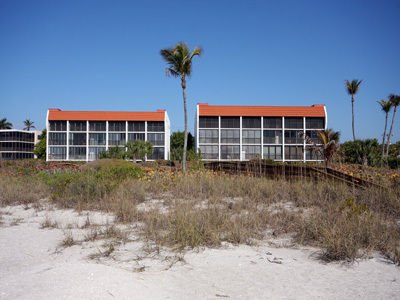 I was pleased to announce two SanibelSusan condo listings sold. Huge price reductions, however, continue to be the main announcements. There were 33 on Sanibel in the past week alone. 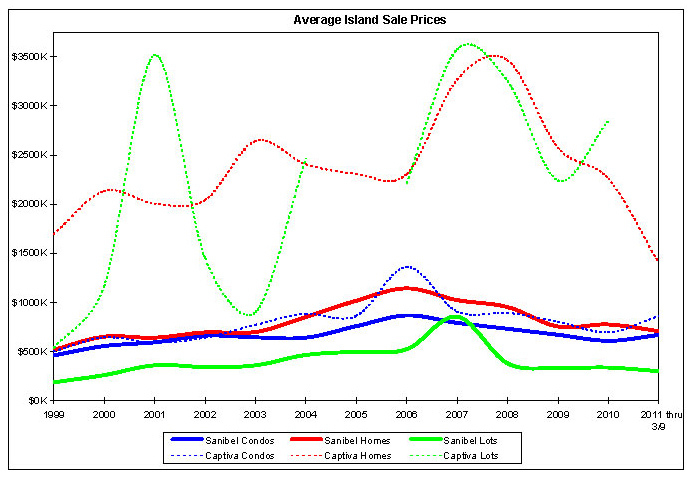 As the summary chart shows below, average Sanibel condo sale prices are up just a tad. Here, 25 condos have already sold/closed this year, compared to 15 during the period last year. Another 25 are under contract. 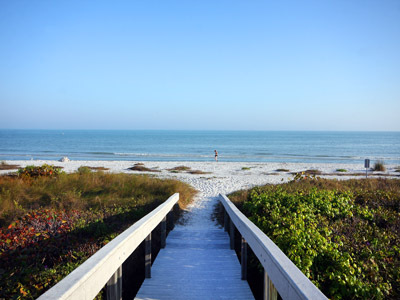 During the same time, 25 Sanibel homes sold last year compared to 32 this year. Another 39 are under contract. Four lots sold both last year and this year, but one more is under contract. With just seven weeks of high season left, we hope the sales continue. Testifying on Wednesday before the Senate Banking, Housing and Urban Affairs Committee, National Association of Realtors® (NAR) President Ron Phipps told members of Congress that sustainable home ownership must be the goal when considering future federal housing policies. “As the leading advocate for home ownership, NAR wants to ensure public policies that promote responsible, sustainable home ownership and that any changes to current programs and incentives don’t jeopardize a housing and economic recovery.” Phipps said the housing market is starting to see signs of recovery; however, the real issue facing the nation right now is that many Americans can’t find meaningful work to support their families, and housing is essential to creating jobs. “Home ownership is a pillar of our economy; our research suggests that home sales in this country generate more than 2.5 million private-sector jobs in an average year. For every two homes sold, a job is created,” Phipps said. He added that, while housing alone may not pull America out of this stalled economy, hampering its recovery will severely and negatively impact the nation’s recovery. “Owning a home contributes to the strength of the nation’s economy and is still one of the best ways for individuals to build long-term wealth; therefore, we need public policies that support home ownership. Making it harder for families to afford safe mortgages does not further the goal of a housing or economic recovery,” he said. Phipps agreed that reforms are required to prevent a recurrence of the housing market meltdown, but raising fees and increasing down payment requirements for well-qualified, creditworthy borrowers places an unnecessary burden on many families, especially those in high-cost urban markets. “Home buyers need a wide variety of traditionally safe, well-underwritten products with flexible down payment requirements, said Phipps. “Overly stringent requirements will turn away 10 to 15% of otherwise qualified buyers who have a demonstrable ability to repay – that’s approximately 500,000 home sales that won’t happen, further delaying the housing and economic recovery. We need to keep housing first on the nation’s public policy agenda to ensure that housing and national economic recoveries are sustained, and that anyone in this country who aspires to own a home and can afford to do so is not denied the opportunity to build their future through home ownership,” Phipps said. The Associated Press reported yesterday that the number of U.S. homes receiving a foreclosure-related notice fell to a 36-month low last month, as lenders delayed taking action against homeowners amid heightened scrutiny over banks handling of home repossessions. Some 255,101 properties received at least one of the notices in February, down 14% from January and 27% versus the same month last year, according to foreclosure-listing firm RealtyTrac Inc. While severe winter weather was likely a contributing factor, the sharp drop-off was primarily due to lenders taking a more measured approach to their foreclosure processes since the industry came under fire last year. Initial default notices fell 16% from January and 41% from a year ago, while scheduled foreclosure auctions declined 10% versus last month and 21% from February last year, RealtyTrac said. Meanwhile, lenders repossessed 64,643 homes last month, down 17% from January and 18% from the same month last year. Repossessions declined 35% in states where courts play a role in the foreclosures process. The decline in foreclosure notices has slowed not only the pace of homes lost to foreclosure, but also stemmed the tide of additional properties potentially at risk for repossession. That’s good news for homeowners in trouble, but it’s unlikely to portend fewer foreclosures in the long run. “The issue isn’t whether we’ll see the repossessions – it’s when,” says Rick Sharga, a senior vice president at RealtyTrac. “Should the foreclosure process slowdown continue for several months, it is likely foreclosure notices and bank repossessions will remain artificially low”, Sharga says. That could help stem home price declines and the number of homes taken back by banks, which hit a high of more than 1 million last year. Such a reprieve would only be temporary, however. “Even though foreclosure activity would look better, it would take the housing market and the economy longer to recover,” Sharga said. “We might not see the market come back until 2014 or 2015. However, if bank foreclosure paperwork issues get resolved sooner, rather than later, foreclosure activity is likely to spike again”, Sharga added. Around 5 million borrowers are at least two months behind on their mortgages, and experts say more people will miss payments because of job losses and loans that exceed the value of the homes they are living in. RealtyTrac’s data captures new foreclosure-related filings on a given property, not repeat filings. As a result, some 70,000 notices that mortgage servicers re-filed on properties in some stage of foreclosure were excluded from February’s data. Factor in those re-filed notices, and the month’s foreclosure activity comes closer to the monthly rate seen last year before the banks foreclosure documentation problems came to light. At a state level, Nevada posted the nation’s highest foreclosure rate for the 50th consecutive month in February, with one in every 119 households receiving a foreclosure notice. Arizona had the No. 2 spot, while California held the third-highest rate of foreclosure. Rounding out the top 10 states with the highest February foreclosure rate are: Utah, Idaho, Georgia, Michigan, Florida, Colorado and Hawaii. 3 new listings: Island Beach Club #P1A 2/2 $410K, Cyprina Beach #9 3/2.5 $695K, Pointe Santo #B44 2/2 $799K. 11 price changes: Seashells #35 2/2 now $269.9K; Ibis at the Sanctuary #A201 2/2 now $390K; Ibis at the Sanctuary #A202 2/2 now $399.99K; Snug Harbor 2/2 now $599K; Pointe Santo #D42 2/2 now $649K; Sunset South #4A 2/2 now $749K; Pointe Santo #B45 2/2 now $760K; Sanctuary Golf Villages I #6-3 3/3 now $799K; Sundial #L305 2/2 now $835K; Janthina #3A 3/2 now $1,439,999; Dosinia #D3 3/3 now $1.495M. 8 new sales: Donax Village #9 2/2 listed for $248.5K, Sanibel Siesta #403 2/2 listed for $399.9K (short sale), Island Beach Club #350B 2/2 $569K, Gulf Beach #102 2/2 listed for $599K, Sandpiper Beach #204 2/2 listed for $645.9K, Plantation Village of Sanibel #A212 3/2 $949K, Sundial #N204 2/2 listed for $1.099M (our listing), Villas of Sanibel #A102 3/3 listed for $1.195M (our listing). 1 closed sale: Sundial #H303 2/2 $399K. 7 new listings: 1245 Anhinga Ln 3/2 $585K, 220 Southwinds Dr 2/2 $599K (our listing), 6138 Castaways Ln 3/2.5 $769K, 1234 Seagrape Ln 2/2 $795K, 5313 Punta Caloosa Ct 4/3 $849K, 6190 Henderson Rd 3/2 $1.499M, 654 Kinzie Island Ct 6/4/2 $2.35M. 16 price changes: 766 Donax St 2/2 duplex now $323K; 1613 Sand Castle Rd 3/3 half-duplex now $375K; 1290 Sand Castle Rd 3/2 now $424.9K; 849 Beach Rd 4/4 duplex now $449K; 474 Surf Sound Ct 3/2 now $509,627 (short sale); 1291 Par View Dr 3/2 now $540K; 994 Whelk Dr 2/2 Dr 2/2 now $574K; 548 Chert Ct 3/2 now $610K; 1328 Seaspray Ln 4/4 now $699K; 1241 Junonia St 3/3 now $699K; 1234 Seagrape Ln 2/2 now $759K; 1048 Kings Crown Dr 4/4 now $1.3M; 1743 Venus Dr 4/3.5 now $1.399M; 1751 Jewel Box Dr 4/4 now $1,499,999; 4443 Waters Edge Ln 3/2.5 now $2.58M; 5063 Joewood Dr 4/5.5 now $3.2M. 2 new sales: 4714 Rue Belle Mer 3/2 listed for $699K, 2332 Troon Ct 4/5 listed for $999K (short sale). 4 closed sales: 9426 Kava Ct 3/2 $379K, 1730 Windward Way 3/2 $405K, 1562 Serenity Ln 5/3 $427.5K, 5690 SanCap Rd 3/3 $575K. 1 new listing: 2142 Starfish Ln $492K. 6 price changes: Island Inn Rd now $159K, 5624 Baltusrol Ct now $225.9K, 1299 Par View Dr now $229K, 1657 Sabal Sands Rd now $339K, 2562 Coconut Dr now $439K, Bay Dr now $2.245M. 1 new sale: 355 Cowry Ct $295K (short sale). 2 new listings: Sunset Beach Villas #2338 3/3 $920K, Beach Homes #15 4/3 $2.249M. 2 price changes: Bayside Villas #4302 3/3 now $550K, Bayside Villas #4306 3/3 now $625K. 1 closed sales: Sunset Beach Villas #2312 $457.5K. 2 price changes: 16171 Captiva Dr 4/4.5 now $1.775M, 16585 Captiva Dr 5/4/2 now $2.1M. This entry was posted in Captiva Island, Captiva real estate, Florida property, Florida real estate, Real estate, Sanibel Island, Sanibel real estate, SanibelSusan, SanibelSusan's Blog and tagged Captiva Island, Florida real estate, Real estate, Sanibel, Sanibel Island, SanibelSusan by SanibelSusan. Bookmark the permalink.